A stick of butter sticking out of the center of a soft Panettone. 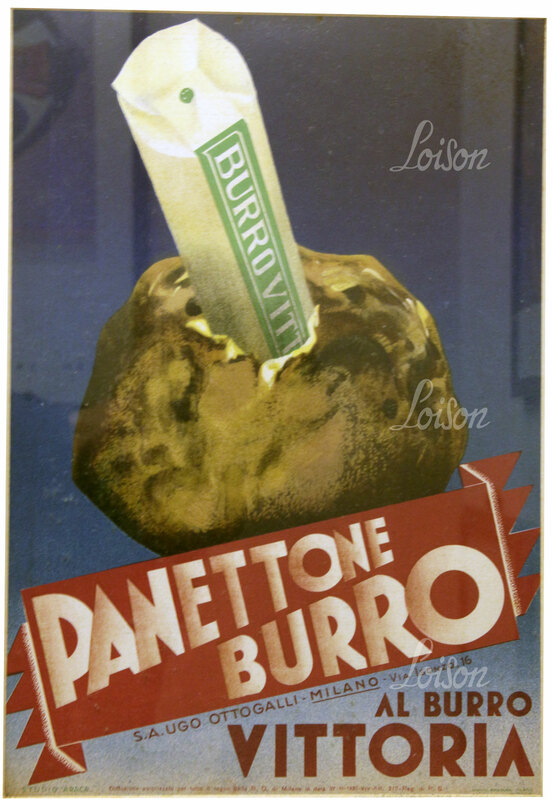 This was the immediate and effective advertising image that the Milan-based firm Ugo Ottogalli chose for its Panettone Burro Vittoria in the early 20th century (burro is Italian for butter). In the 1930s, that same company used to produce sets of cards designed to promote the sale of their products. 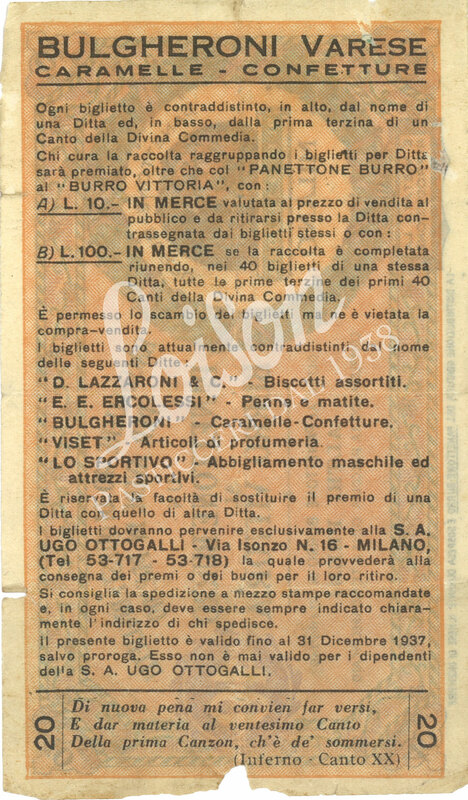 Printed on the upper back of the series of the 40 cards, there was the name of an affiliated company. Printed on the bottom, was the first triplet of a cantofrom the Divine Comedy – as seen in the bottom portion of the last picture on the left. 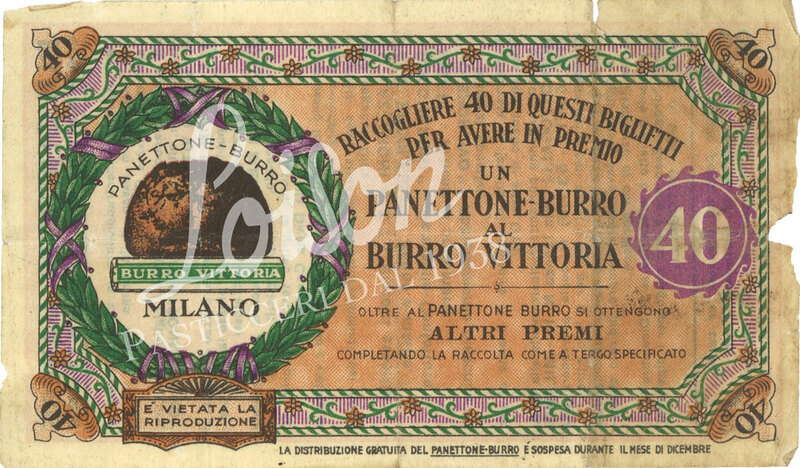 Once thecustomers had collected 40 points,they could pick up a free Panettone Burro Vittoria and receive either 10 or 100 liras’ worth of merchandise. The equivalent of 100 liras in merchandise could be obtained only if all 40 cards featured the same company name on them and all the first triplets of the first 40 cantosfrom the Divine Comedy.